Welcome to the world of “Smart Wholesaling”, the UK fastest growing drinks wholesale marketplace. As a national drinks wholesaler, we can offer our members beer, champagne, wine, spirits and soft drink at wholesale prices. We offer an extensive range of products, very competitive prices; delivered nationwide in as little as 48 hours. Joining our buying group is a “Smart Decision”. 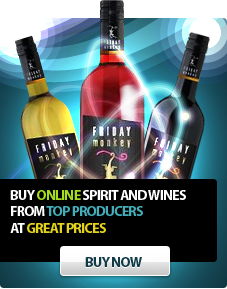 We are one of the fastest growing alcohol drink wholesale suppliers in the UK. and welcome the opportunity to work with our future members. We supply Restaurants, Clubs, Sport centres; Event companies, Pubs, Hotels, Retailers and other wholesalers, with best in class services and competitive prices. We offer Free fast nationwide deliveries*, 6 days a week (including Saturdays), and we can deliver your entire order in a little as 48 hours. Becoming a member of our “smart group” is absolutely free as long as you are a UK business. The more companies that join our buying group, the more our collective buying power grows. Online Cash and Carry has created a platform for independent bars, clubs, pubs, hotels, caterers and all the other businesses that become members to come together. Even if you are not involved in the hospitality industry, you can still enjoy great savings and greater access to products than anywhere else. We can then leverage our combined buying power to receive better prices on the products we all buy. We use our nationwide supply chain to help improve your business cash flow, stock availability and profits whilst reducing your wastage. Purchasing online will save time, money and hassle that would have been spent travelling to other wholesalers. So register now and make the smart decision today. Online Cash and Carry offers an interactive marketing platform for brands that would like to engage with our “smart members”. Adding our www.onlinecashandarry.co.uk marketing platform to your branding and marketing initiatives will give your business a fantastic cost effective tool to increase brand awareness in the B2B sector. We are a AWRS registered wholesaler in compliance with all HMRC regulations. Our AWRS number is XPAW00000100356.